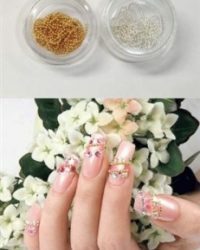 To prepare for your design, apply a base coat or regular polish to nail. 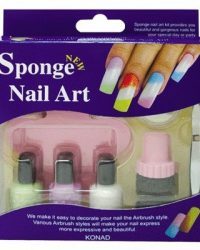 Apply the special nail polish to your chosen image on the plate. 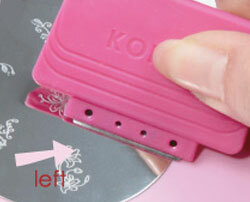 Use the scraper angled at approx 45% to remove any excess polish. 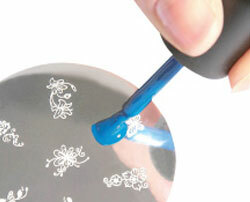 Immediately, gently press the nail stamper on plate to pick up design. 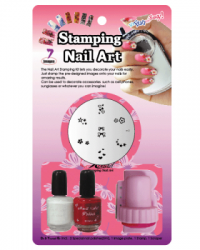 Using a little pressure and gentle rolling motion, stamp the image onto the nail. 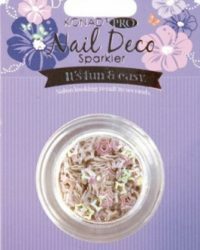 Finally apply a light protective top coat to seal and protect your nail art design. 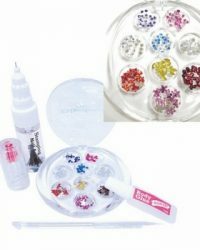 Special Polishes – Create unique, stunning designs for your nails! 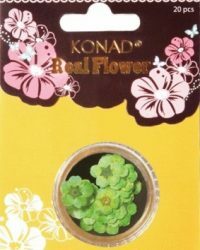 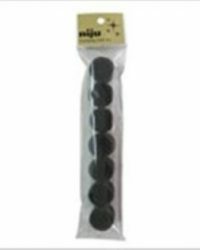 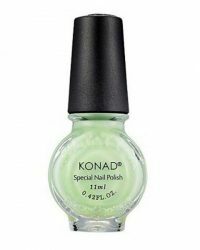 KONAD Special Polishes have been created specifically for Stamping Nail Art Designs and are specially formulated (5 times higher in vicosity) to otain the best results when used in conjunction with the KONAD Stamping Nail Art Kits. 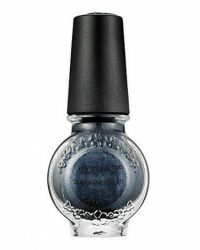 For standard nail polish take a look at our range of Regular Nail Polishes. 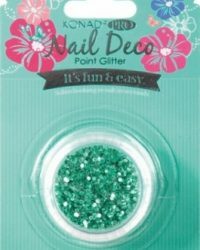 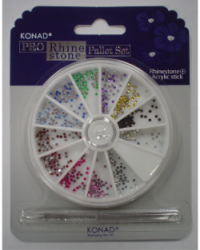 Use with KONAD Special Polishes to create a stunning look for any occasion! 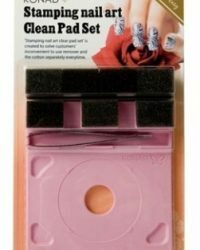 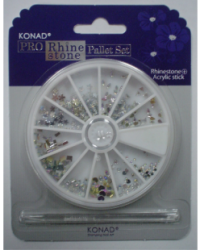 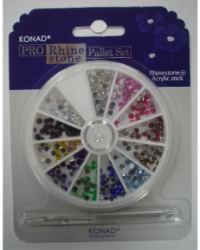 KONAD Stamping Kits contain everything you need to create your own fabulous nail art designs. 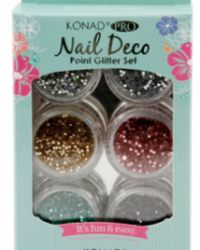 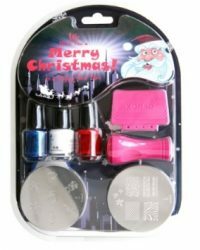 With a variety of KONAD Stamping Nail Art Kits for you to choose from, there’s something for everyone, from beginners right through to salons and professionals. 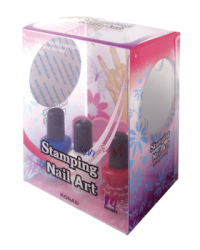 Start creating beautiful nails right away with any of the KONAD Stamping Kits. 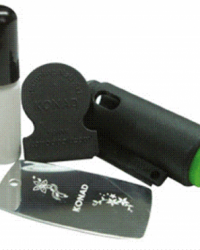 All the necessary equipment stamper, scraper, image plate and special polish are included.